The product is the most important element of the marketing mix. Developing a total marketing programme involve the marketing manager arming himself with the 4p’s of the marketing mix, i.e. product, place (distribution), pricing, and promotion. The product happens to be the first of these tools. Without a product, there is no question of marketing. The whole marketing programme is based on the product. The aim of the product is to satisfy the need and desire of the customer. Therefore, what most company need is a product philosophy. It requires the company to anticipate what the customer wants in the future. Thus, a product is a bundle of potential utility because customer is. more interested in the benefits he gets from the product rather than the physical characteristics in a physical sense. Product decision is the basis of marketing programme and all marketing activities are based on product decision. Pricing, place (distribution), advertising and other decisions are influenced by the product decisions. 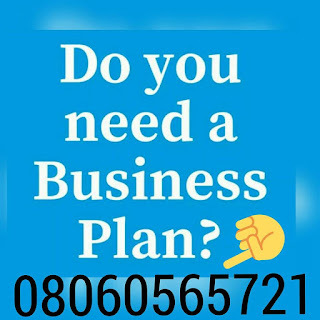 Moreover, this determines the success and future of the business. The basic idea behind the existence of any product is the satisfaction of need and wants. Thus, according to Kotler (1988) “a product is anything that can be offered to a market for attention, acquisition, use or consumption that might satisfy a want or need”. Also, Nwokoye (1987) defines a product as a bundle of physical and psychological satisfactions that a buyer receives from a purchase. Morden A. R. (1987), define a product as something that is capable of satisfying a customer need or want. However, products are not only tangible objects, services, persons, places, organizations and ideas, but also anything that can be marketed. Thus satisfaction must result from the consumption of a product as emphasized by Abbot (1985) that “what people desire are not the product.but satisfying expenses”. This view was confirmed by Levitt (1989) who argues that product need to be seen in terms of benefits they provide rather than, function they perform. It follows then that when one buys a product, he is actually buying the benefit and satisfaction he thinks the product will provide. Hence, every product or service has to have some additional benefits beyond it basic function in order to stand out from others and be chosen. The product concept or the total product is more than just the physical product which we normally see with our naked eyes. It goes further to include such areas as: installation, instruction manuals, warranty, after sales services and availability of spare parts. It then became very necessary that when looking and taking decisions on the purchase or non-purchase of the product customers need to look beyond the physical product. They should remember that there are other things that go to compliment the physical product. Kotler (1988) pointed out that in innovating or developing a product, the innovator needs to think about the product on three levels. The first level which is the most fundamental is the core product, which answers the question, what is the buyer really buying? In order word the core product is simply the packaging of a problem solving service. The core product is the most important aspect of the marketer’s job which is to uncover the needs hiding under every product and to sell benefits, not feature. The second level is the formal product. The product is the larger “packaging” of the core product. This formal product whether physical object or service have these or some of this characteristics: a quality level, features, styling, a brand name and packaging. The third level is the augmented product. This is the totality of benefits that the person receives in obtaining the formal product. Product augmentation leads the marketer to look at the buyer’s total consumption system; e.g. maintenance, installation, and free delivery. Products are basically divided into two major categories, namely consumer and industrial goods. Consumer Goods: These goods or services are destined for ultimate consumer in such a form that they may be used without additional processing. They are goods for the final user or consumer. Consumer goods are classified based upon customer behaviour. Convenience goods: Those that need minimum shopping effort; e.g. cigarettes, soaps, drugs, bread, etc. Shopping Goods: Comparison-shopping. Prices and quality are compared from one store to the other; e.g. furniture, electronics, etc. Specialty Goods: Search is needed. The consumer undergoes some sacrifice in order to buy that particular brand he wants. Unsought Goods: Those that customer do not want yet. Convenience goods are further divided into: Staples, Impulse, and Emergency goods. Installations: These are large and expensive items that are not a part of the final product. All installations are capital items; e.g. Buildings, and land; i.e. factories, farms. Raw Materials: Expense items. Classified as farm products; e.g. live stock, maize, rice, etc. and natural products; e.g. vegetables, minerals, etc. Component Parts: These form part of the finished products. They are expense items. (c) Operating Supplies e.g. grease, oil, ink, etc. A product line according to Stanton (1981) is a broad group of products, intended for essentially similar uses and possessing reasonably similar characteristics. However, a product line is defined as a group of products within a product mix that are closely related either because they function in a similar manner, serve the same out lets, and have the same price level. An example of a product line of Lever Brothers Nigeria Pic; is the soaps and detergent line – made up of Omo, Surf, Rim bars, Lux soap, Breez soap, Key soap, etc. A product mix is the list of all products offered for sale by a company. It is defined as “the composite of products offered for sale by a firm or business unit”. The product mix is four dimensioned, it has breath or width, length, depth and consistency. Breath or Width: Its breath or width is measured by the number of product lines carried or offered by an organisation. Length: Product length refers to the total number of items in a line. Depth: Its depth is measured by the variety of sizes, colour, and models offered within each product line. Consistency: The consistency describes the relatedness of the various product lines either to their end use or to production requirements or to distribution channels or other variables. There is consistency when a seller stocks “electrical appliances” such as bulbs, fans, mixers, cooler, fridge; in contrast to a seller who stocks cloth, sugar, chemical, cosmetics, which have no relationship. One major management aspect in product policy is the decision concerning product mix. The product mix is one of the elements in the product policy. This is more important since most of the manufacturers are diversifying their products. The product \policy decisions are made of these different levels: product mix, product items, and product line. These three in one elements make the product planning effective. (i) Product is the center point for all marketing activities: Product is the pivot, and all the marketing activities revolve around it. Marketing activities such as selling, purchasing, advertising, distribution, sales promotion, are all useless unless there is product.. It is a basic tool by which profitability of the firm is bargained. (ii) Product is the starting point of planning: No marketing programme will be prepared if there is no product because planning for all marketing activities such as distribution, price, sales promotion, advertising, etc. is done on the basis of the nature, quality and the demand of the product. Product policies thus decide the other policies. (iii) Product is an end: The main objective of all marketing activities is to satisfy the customers. It is the philosophy of the modern marketing concept. Thus product is an end (satisfaction of customers) and the producer, therefore, must insist on the quality of the product so that it may satisfy the customers needs. Though there are low-quality products in the market but their life span is very short because they fail in satisfying the customers needs.